Three student books with complete coverage of the most popular history topics. Causes, Practices and Effects of War Authoritarian and Single Party States Cold War A Comprehensive Guide to Paper 1 provides: Complete coverage of the prescribed subjects with a clear overview and detailed analysis of key events. Material to equip students with the knowledge and skills necessary to answer source-based questions. Extensive practice in analysing a wide range of different source materials. Free online resources to support and extend study at http: //www.pearsonbacconline.com.com. 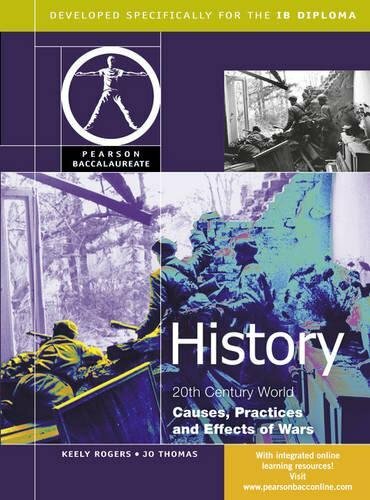 Each of these 20th Century World textbooks provides: A clear overview and analysis of key leaders and events. Thematic approaches, comparative studies, cross-regional perspectives and explanations of the methods of historical research and writing. Timelines, document-based activities, practice questions, essay practice and sample answers. Free online resources to support and extend study at www.pearsonbacconline.com.